Join the Halsey Institute staff and tour guides for the international celebration of “slow looking” and participate in guided in-depth conversations about a handful of the artworks in Young Contemporaries 2019. 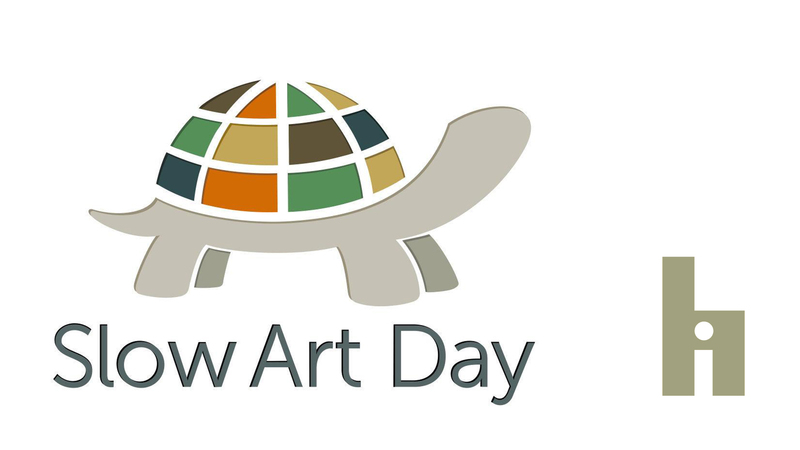 Learn more about Slow Art Day here! Slow Art Day was started in order to invite novices – and experts – to experience the power of looking at art slowly. It’s a very simple event. Visit your local museum (or gallery, public artwork, etc.) and view a small number of works of art for 5 to 10 minutes each. Then everyone meets to discuss their experience. And all this happens the same day around the world. The result? Participants say they get “inspired, not tired” and plan to return to that museum or gallery again and again (the not-so-secret agenda is to help more people experience the excitement of art and become regular patrons of their local museums).